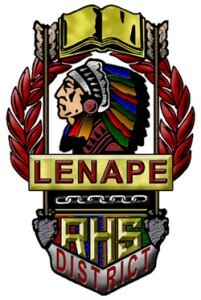 Of all four branches of the military, the Lenape Regional High School District offers a glimpse into three to its students. It started at Lenape High School 20 years back when the United States Army decided to join the ranks of the Indians and offer programs to the school and its students. More than 2,400 cadets have now passed through the high school’s doors on account of those programs. The United States Navy has since joined Cherokee, and a year later, Seneca was joined by the ranks of the United States Air Force. However, this does not handcuff students based on where they live. This program is one of the few areas in which the district shares students. If a Lenape student is interested in getting involved with the Air Force, for example, he or she is able to join Seneca’s program. In fact, all three of the schools have Shawnee students in their programs. The program these branches offer is called the Junior Reserve Officers’ Training Corps. It has grown to be a very popular program in the district, as it has given outlets and opportunities to kids who might never have found who they were without it, as LRHSD Board Member Joseph W. Borucki put it. More importantly, this program takes a wide range of students from all over the spectrum and gives them a sense of belonging. This is proven on a weekly basis through the pride shown by JROTC members district wide when they wear their uniforms to school on their assigned day of the week. As Charlesworth put it, it is no different than when the football team wears their jerseys to school on Fridays before games. Students don’t have to be athletic enough to play on the sports teams or smart enough to be on the honor roll; they just need to show self-discipline and dedication to this group that welcomes them with open arms. “Our vision in the district is to continue to promote this sense of citizenship,” Charlesworth said. The JROTC groups show off this pride and citizenship to the public by getting more involved in community service than any other groups on campus. The aggregate number of hours given back to community over the 20-year period the district has had the program has totaled more than 30,000 hours. “The JROTC programs just bring a certain vibe to all of the events that they attend,” Seneca High School Principal Jeff Spector said. Along with a well-rounded curriculum that focuses on leadership, teamwork, discipline and personal responsibility, the program provides students with an abundance of unique experiences. These students go to Army leadership camps in the summer, they’ve been to Annapolis and West Point, they’ve been on ships and military bases, they have the opportunity to be a part of their school’s color guard and are given the opportunity to compete on their drill teams. The benefits of this program also include free online SAT/ACT prep courses and the opportunity to be nominated by their school’s instructors to be selected to go to one of the service academies for their college education. Each building has two instructors who are retired military personnel who have taken it upon themselves to pursue advanced certifications as it pertains to ROTC. On a daily basis, this group brings 144 years of military experience to the students of the Lenape Regional High School District every day. As one of Spector’s students put it when describing his role as a JROTC member, he defined himself as an “ambassador in uniform” who has been given the feeling he has made a difference.